Bob Houtman, long time Ladner resident, has been coaching for 34 years in this community. Bob began his coaching career in 1983, taking on his daughter’s first year Squirt team, and he has never looked back. Along with many years of coaching and umpiring for the South Delta Minor Fastpitch Association, Bob has also coached his kids in soccer, has spent 12 years coaching baseball, and played softball himself until the age of 40. Bob has enjoyed many rewarding years as part of the coaching staff of the Delta Heat. The 2017 season brought many successes for Bob and the Heat, culminating in a major victory with the Heat clutching both the U16 Provincial and National Fastpitch Championship titles this past summer. 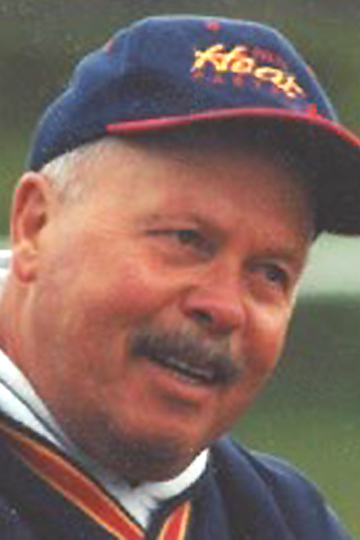 Bob was also honoured earlier this year with an induction into the Delta Fastpitch Hall of Fame for his contributions to the sport and his leadership with the ’92, ’96, and ’01 Heat teams. Prior to this year, Bob helped lead many teams to victory. In 2015 the Heat earned U14 Provincial Championship status along with a silver medal standing at the National Championships. In 2014, the U18 Heat were named National Champions, as they had been back in 2012 as U16s. Bob’s commitment and passion for coaching is evident in the many years he has dedicated to the sport. Bob believes success comes from being with good people. He genuinely acknowledges the many individuals he’s had the pleasure of working with over the years as the reason he’s stayed with it for as long as he has. His daughter may have been the reason he started coaching, but when asked what brings him back each year Bob says it’s his “love of the game” and his “love of teaching kids”. Bob plans to stay involved in developing players within the Delta Fastpitch Association. The impact Bob has had on his players has been very evident in how the girls speak about his influence and his positive coaching style, how he is regarded by his fellow coaches, and by each team’s impressive stats over the years. Bob’s contributions to the association have been invaluable.